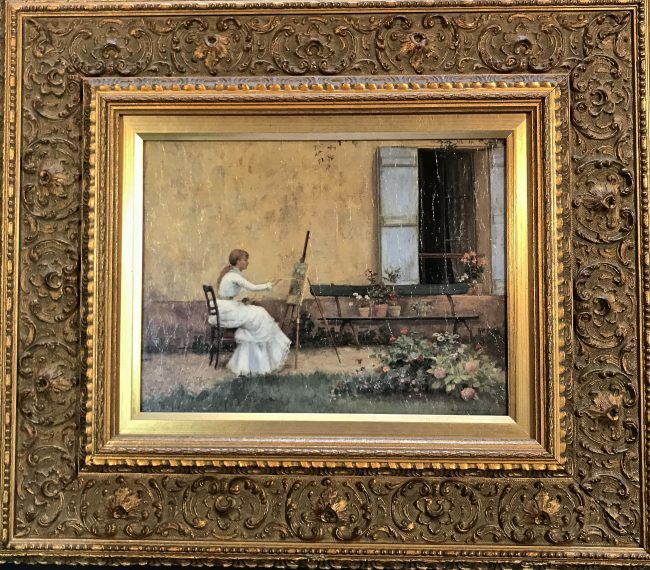 This Garage Sale Print turned into this stunning image framed with an ornate Gold Gilded Baroque frame and a water Gilded wood insert fillet – the perfect compliment to this classic image. The Print was dry mounted to archival foam core and then laminated …. The laminate was intentionally crinkled prior to mounting to give the print and old cracked varnish appearance. Not bad for a 50 cent print!